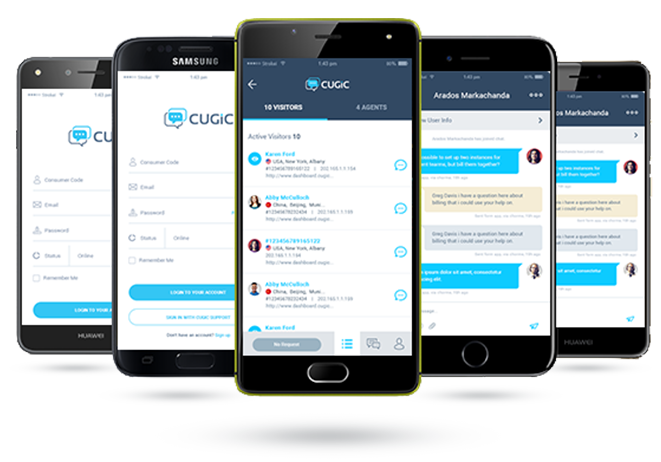 CUGIC allow you to measure customer satisfaction, access agent performance and identify problems before execution. The analytics will help you stay on the target and measure success. 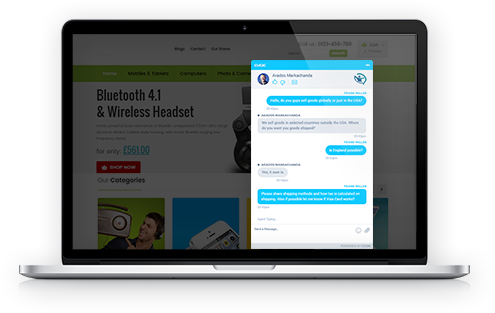 Chat with your customers as soon as they visit your website and resolve their queries in real time with higher customer satisfaction. Say goodbye to expensive international calling. You can make calls directly from your device and connect with your customers instantly via audio and video calling service. 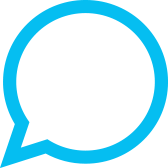 For guidance regarding understanding our chat software, we are available 24/7 to help you experience a seamless Live Chat Experience with your customers. Connect CUGIC with the popular social networking sites like Facebook and Twitter. 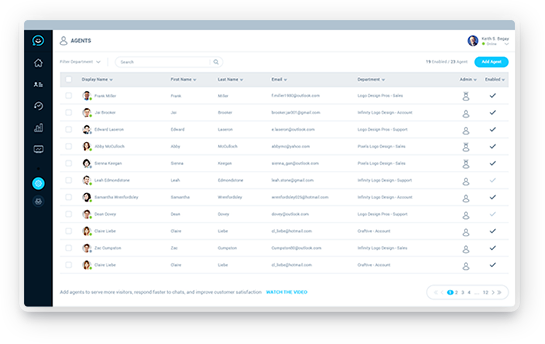 You can use this feature to monitor queries instantly and cater them accordingly. Your customers are waiting on your website. Don't keep them waiting.